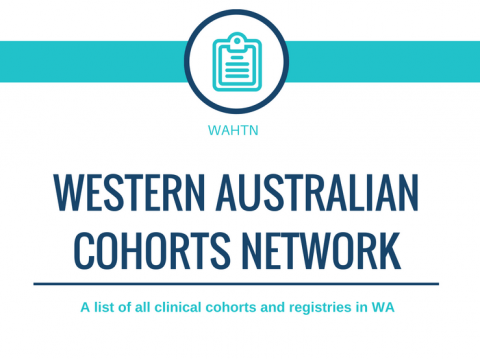 The WAHTN is establishing a listing of Western Australian cohorts and registries for the purpose of encouraging collaboration and sharing of know-how and resources. These can be general community cohorts, clinical registries, or special population cohorts. If you are in charge of a cohort/registry could you please provide a brief summary of the cohort using the following template. This summary will be made public on the WAHTN website unless you specify otherwise. We plan to run a symposium in 2017 to bring WA cohorts together for the first time. Please pass this notice on to anyone you know who may be in charge of a cohort/registry.